Getting pulled over by police and charged with a DUI can be a traumatic and stressful experience. Your driving privileges, auto insurance premiums, and even your freedom are at risk if you are convicted. This is why you need a strategy to mount a thorough and persuasive defense against some or all of the components associated with a DUI prosecution. Remember, the state carries the burden of convicting you beyond a reasonable doubt. The job of your Winter Park DUI defense attorney is to raise that doubt and poke holes in the state’s argument. A strong defense can arise anywhere from the initial stop by the police officer, any search that was conducted, any breathalyzer tests that were administered, arrest, booking, and so forth. 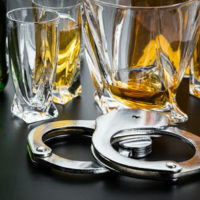 Let’s take a look at three important DUI defense strategies that can be utilized by your attorney. Police cannot arbitrarily pull over people without a “reasonable suspicion” that you have violated the law in some shape or form. Basically, police must have “specific and articulable grounds” that create reasonable suspicion that a law was violated or a criminal activity is taking place. In the context of a DUI, officers typically do not pull over a driver based exclusively on suspicion of a DUI. In many instances, the officer sees a driver swerving in and out of lanes on a road or highway, failing to stop at a stop sign or red light, or driving at an excessive rate of speed. These traffic violations then serve as the catalyst for the officer to pull you over and proceeds with an assessment of your cognition and check to see if you are intoxicated. This means that if you were driving at the posted speed limit, not swerving, complying with all Florida traffic laws and did not have a mechanical malfunction with your vehicle, your Winter Park DUI defense attorney can argue that the police lacked reasonable suspicion to pull you over and any evidence obtained by police should be thrown out of court. If you undergo a blood alcohol test, there is a litany of protocols that must be followed by police. For example, the blood-alcohol analysis must be completed by a trained and licensed phlebotomist and this analysis must be completed shortly after a DUI arrest is made. If there was an extensive waiting period between the arrest and the analysis (often creating the issue of contamination or fermentation) or the testing was completed by an untrained lab technician could be possible defenses against the results of the testing. You Struggle with a Medical Condition That Influenced the Officer’s Decision to Arrest and Charge You with a DUI. There are multiple medical conditions that can actually create the appearance of drunkenness or lead to a false breathalyzer test result above 0.08 BAC. For example, if you are fatigued or suffer from a neurological condition your speech can wind up becoming slurred. If you suffer from allergies or sinus issues, this can create the appearance of red and irritated eyes (which can be confused for intoxication). You may also be surprised to learn that people on extremely low carbohydrate diets are at risk of developing an “alcohol smell” on their breath. This is the result of an individual’s body going into ketosis, which involves the fermentation of glucose in the blood stream, creating an alcoholic odor. As you can see, there are potential defenses that can be raised if you are facing DUI charges. The experienced Winter Park attorneys at Cotter & Zelman, P.A. represent clients throughout central Florida in drunk driving criminal cases. To schedule a free consultation with a member of our legal team, call 407-629-4711 or contact us by email.